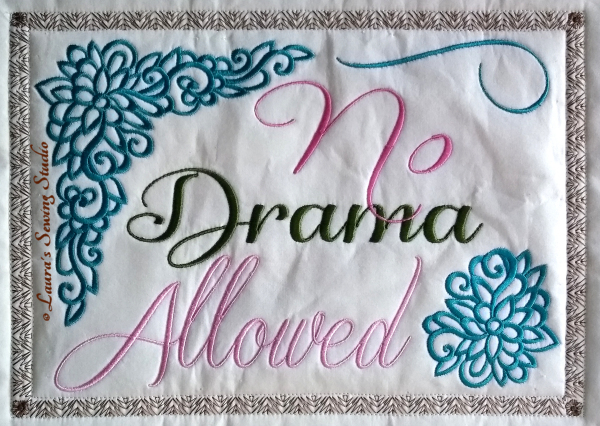 Reading posts with friends on Facebook about how much drama occurs in holiday get togethers gave me the idea to make this design. I wasn’t sure it was a good idea at the time but friends chimed in telling me to make it, ‘it is necessary’. 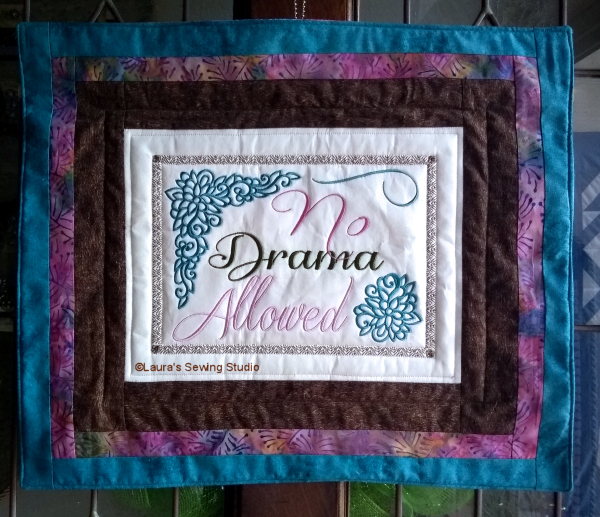 I made this quilt for my friend Paula to display wherever and whenever she deems necessary. The designs fit the 8 x 11 hoop and 6 x 10 hoop. I broke each one down into components to allow for more creativity. To learn how I make these small quilts please refer to my tutorial pages How to Make a Small Quilt. Read all of these sections in the order given.